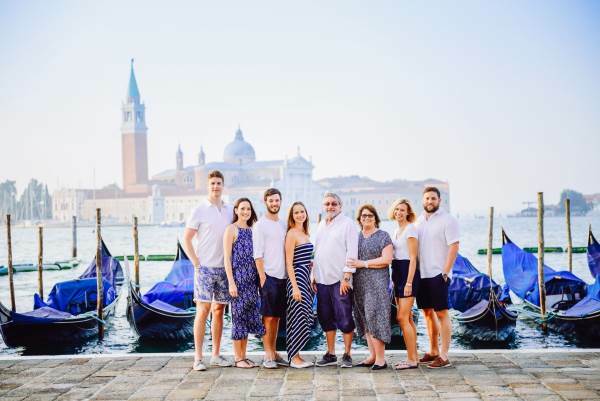 Family photo shoot is a great experience in Venice. It's a great opportunity to have a unique and precious souvenir from this magic city. The city is full of labyrinths, and it's so easy to get lost here, but each time you get lost, you find some pretty nice corners with bridges, water channels, pierces and boats. 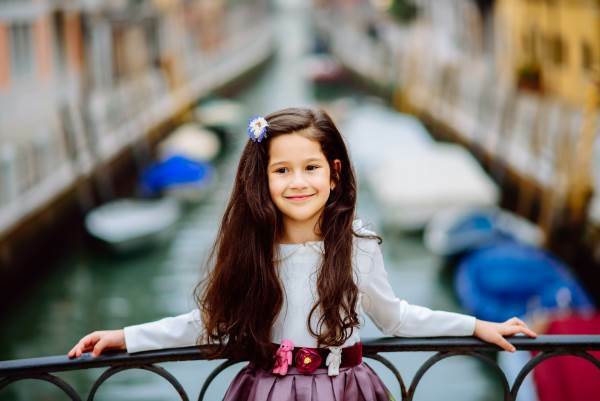 Make your vacation unforgettable booking your family Venice photographer. 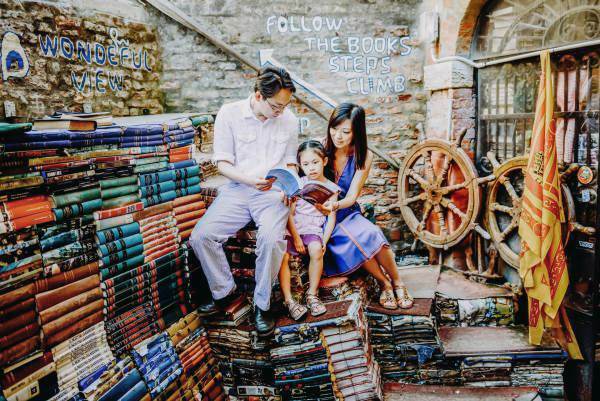 Let's create lifestyle images walking around the city and having fun with your family. Let me capture your story in Venice. How much time should we book? The most popular package is a two- hour shooting Venice. 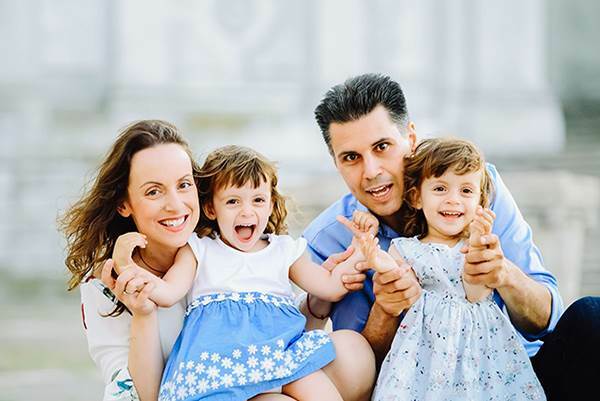 Two-hour photo session means we can cover at least two areas, such as St Mark's Square and the area with hidden spots with bridges, water channels and cozy streets. We can add also a gondola ride that is very beautiful for the pictures. It's duration is 30 min. How does the family shoot work? 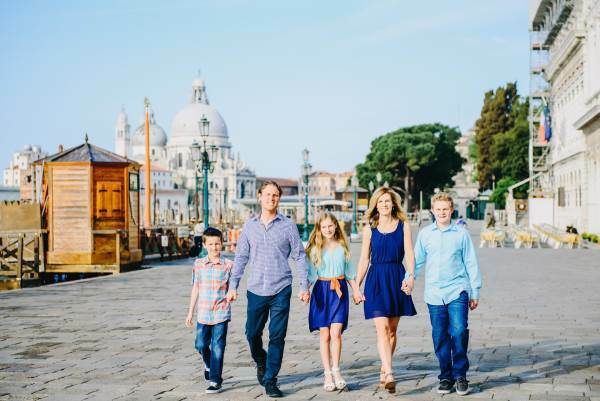 After booking your family Venice photographer, we will discuss your preferences for the time and locations that you prefer to cover. If you have your wish list of the places that you love, please send me them in advance. Usually I advise a mix of candid and posed pictures. We will be walking around the city, having fun and I will be creating story of your family in Venice. Get in touch with me and I will send you information about pricing and availability. 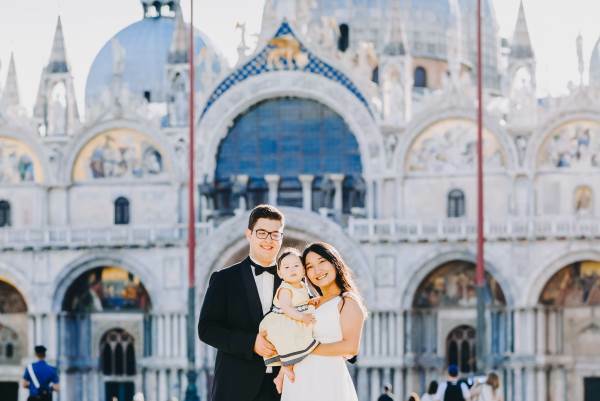 When is the best time for a family shooting in Venice? A lot of families prefer the middle of the day. Unfortunately, it's not good for the photos. Early morning or late afternoon is the best time to create nice high quality images. 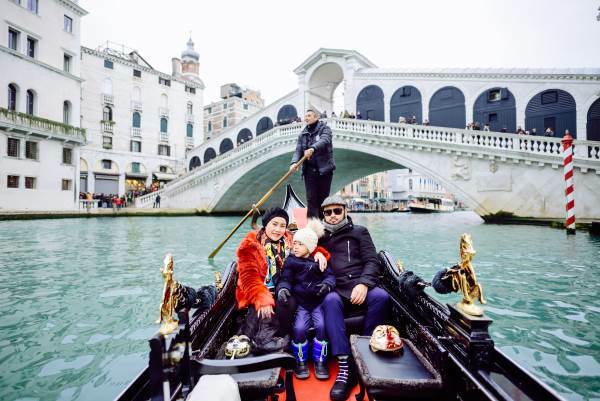 Only on the sunrise the city will be empty and we can take pictures on the iconic locations like St Mark's Square with the famous pierce with blue gondolas, Doge's Palace, Bridge of Sights, ancient galleries with arches. 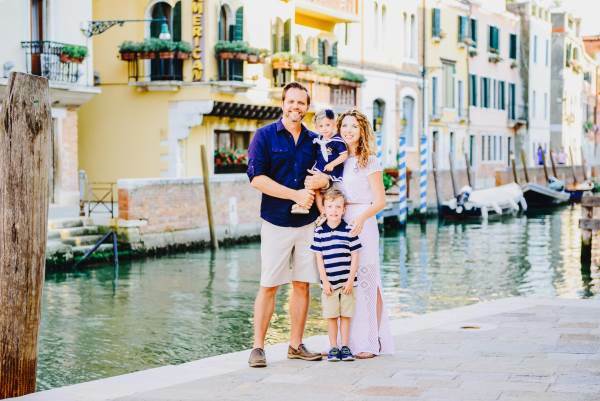 Late afternoon is perfect time for authentic places of Venice that you will discover with your family Venice photographer. If you love water channels, pretty bridges, flowers, typical venetian houses, we should start close to the sunset. 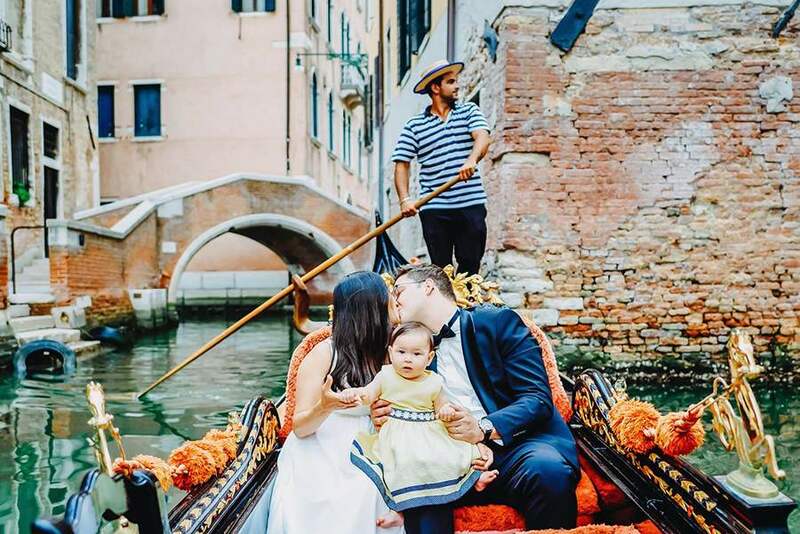 A lot of clients want to make a gondola ride that will be captured by family Venice photographer. The price for the private gondola ride is 80 euros during the day, and 100 euros after 6:30 pm. I will help you to choose the gondola's station that has the most interesting route. The gondoliers start working at 9:30 am and finish at late night. Please, note, that if you book early morning shooting (for example, at 6:30 am for 2 hours), it will be impossible do the gondola ride. 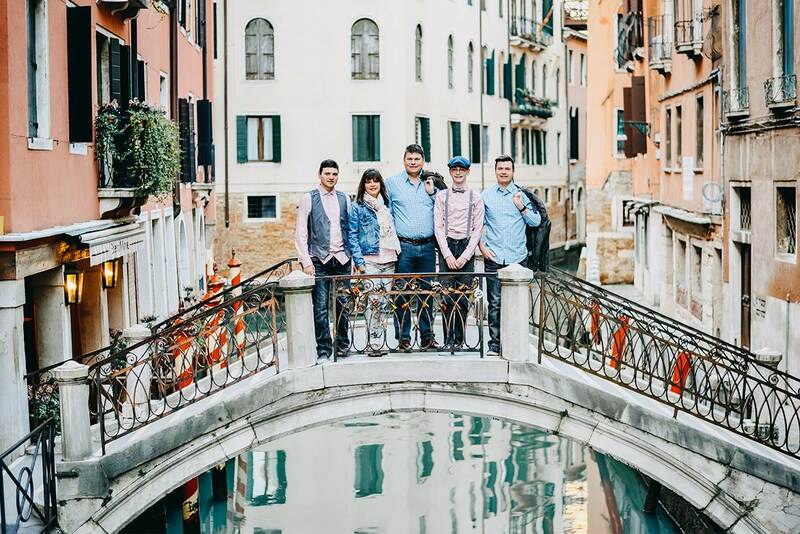 What is the best season for a photo shoot in Venice? All seasons are good for pictures in Venice. It's an amazing and stunning city that looks like a fairy tale during all periods. In winter you could see "acqua alta" - "high water". It's a phenomenon when for some hours the water raises and covers St Mark's Square and other parts of the city. The reflections of the architectures and the lights create very beautiful background. 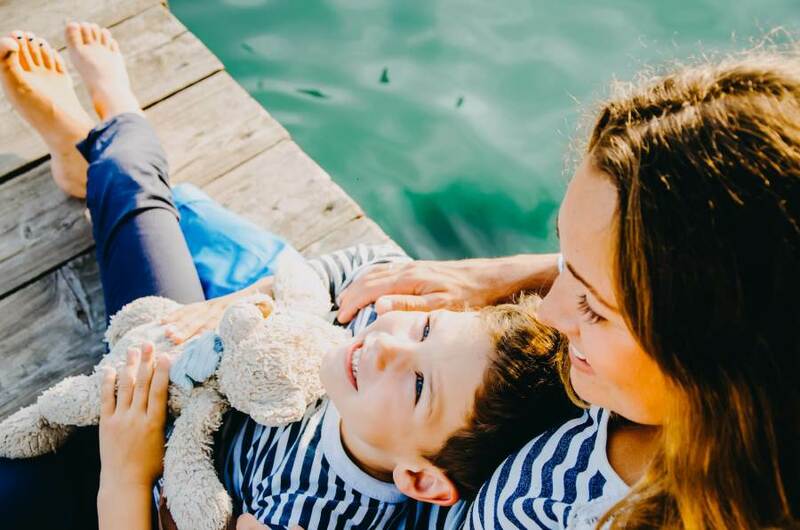 A lot of families prefer spring and autumn periods because it's not so hot and crowded like in summer. Easter vacation in Venice could be a good idea. 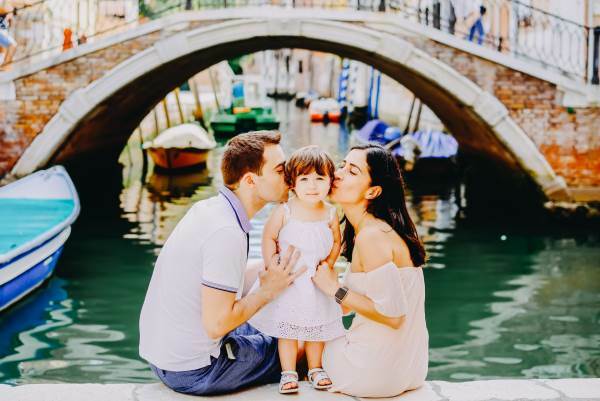 If you are planning your trip in Venice, hire your family Venice photographer to make your venetian holiday unforgettable.